Actually—they want my nickels. 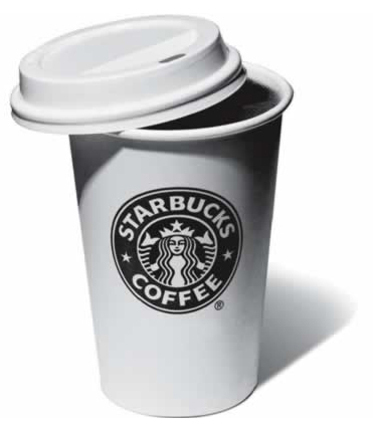 Starbucks has announced a price hike of five cents per cup. No big deal right? Personally, I’m annoyed by it because Starbucks has been gradually losing favor in my eyes and this doesn't help. "SEATTLE — Starbucks (SBUX) said Thursday that it plans to raise prices of its lattes, cappuccinos, drip coffee and other drinks 5 cents, or an average 1.9%. The increase, effective Oct. 3 at all company-operated stores in the USA and Canada, marks the first time the company has boosted drink prices in two years. ...Currently, a tall, or 12-ounce, cup of Starbucks coffee costs $1.40 to $1.65. Twelve-ounce lattes cost $2.40 to $3.10, depending on the market, and a tall mocha costs $2.70 to $3.40." The Starbucks brand has been lauded as the poster child of the experience economy. Provide a high-end experience that customers cannot get elsewhere—one that they crave, and you can charge a premium for your product and services while your brand enjoys the benefits of unconditional love and adoration from your customers and brand evangelists. Or at least so the theory goes. But in my opinion, something has been happening to Starbucks gradually since their early days. The quality of the “Starbucks Experience” isn’t what it used to be. It’s the little things. The Baristas are inconsistent. Some are great and some are terrible. Some of the Starbucks that I walk into are really cool—they take advantage of the local feel of the area they are located in. Others feel like “fast drink”. No better than McDonalds—but 5x the price. Some of the Starbucks that I’ve frequented are just trying too damn hard—thumping their Starbuck compilation CD's at high volume. Hey, is this Starbucks or The Gap? Don’t they realize I want the Coffee to wake me up? Not the warbling vocals of Jewel. So five little cents. For coffee that’s already overpriced. But again, in this experience economy—it was never about the coffee in the first place right? It’s about HOW you got that coffee and what you look like when you are walking around with your Starbucks cup vs. a cup from Dunkin’ Doughnuts. But lookout Starbucks. I’m really liking both the taste and experience of the coffee I get from places like Intelligensia, Caribou, and the local shops that are thankfully popping up again. There’s one right by my house that serves Illy coffee, which as far as I am concerned makes Starbucks taste like roasted dirt in comparison. Personally, I think Starbucks coffee is good, but not amazing. So if I'm going to pay—the experience better be solid. Five little cents. Sometimes that’s all the tipping point you need.